Our Super Quick Guide To Creating The Perfect Blog! Creating a blog structure can be hard, but it needn’t be with this guide. Most of you will agree that the act of writing is relatively simple once you get going. Fortunately, we have a solution for you. 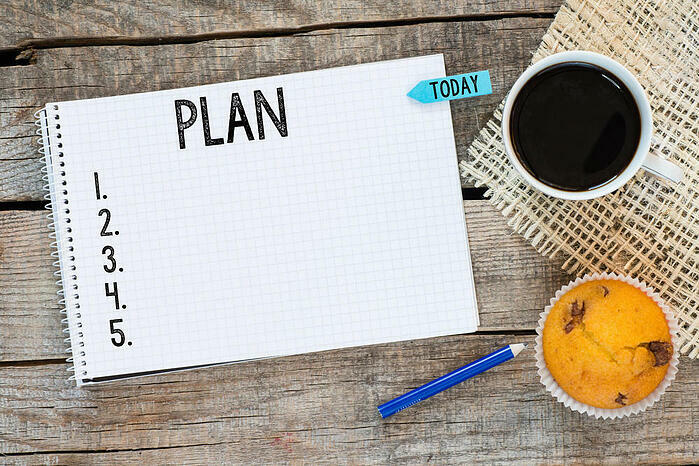 This blog will help you decide on how to plan a blog and provide a structuring process that will enable you to create exciting, well-structured blogs. So here's our super quick guide to creating the perfect blog! In order to structure your blog posts effectively, you need some kind of plan to work from. How you absorb and integrate your plan into your work differs from person to person. We find that writing our plan down on a whiteboard enables us to mentally process each stage and home in on the focal points. In light of that, we’ve shared our process to planning a blog post below. So let’s prepare our plan for our writing. No great piece of writing began without an idea and it doesn’t have to be the most revolutionary of them. Chances are, your idea has already been dissected, burnt, deciphered and digested to the nth degree, but how you present your idea is what keeps it fresh and intriguing. To do this, define exactly what it is you want to create and what it will solve and use that as your narrative framework. Keep originality in mind and opt to take a twist on a more generic approach. Think outside the box with your style and try to be refreshing. You remember in school exams where you’d be encouraged (or almost forced) to plan for ten, fifteen minutes? That wasn’t the invigilator trying to get a few cheap laughs by wasting your time – it’s so you can gather your thoughts. Writing down a plan makes it so much easier to determine what you want your work to become. So there’s our second tip. Have a plan. Your plan is by no means the be all and end all of your piece; it’s merely an ideas framework. Your plan can be anything from a detailed, artistic and logical process to a rough draft of how you want to address a topic. How you plan is down to you, but you must have one. The amount of information online is scary. Depending on the subject area you want to discuss, there’s going to be information you want to cover and information you’d rather just leave out. If the subject area is one you’re not well versed in, it’s going to show in your material. In order to avoid this, do your research and weave statistics and factual elements into your writing to support your points. Without statistics and facts, your thoughts exist in a vacuum – they’re simply uninformed opinion. So do your research, the more the better. 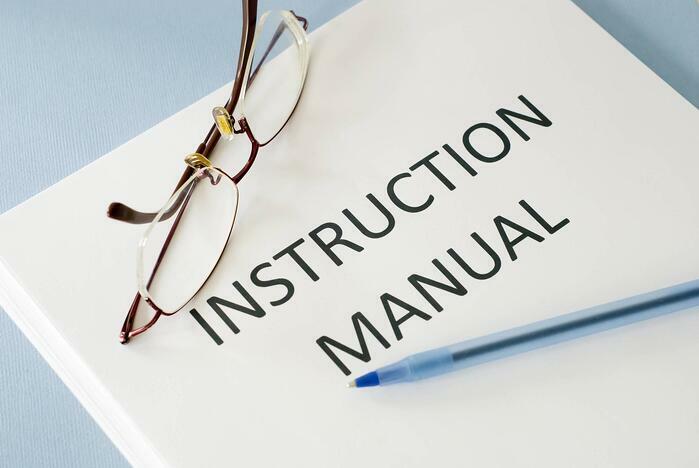 But, how do you build something without a manual? There’s a reason why everyone knows Nike’s slogan. You need your article to stand out and demand attention rather than ask for it – that’s what your headline is for. If your headline isn’t eye-catching or captivating, people won’t bother to read any further. As mentioned previously, due to the amount of information available searchers will generally scan through content – on average, a user will only read 20% of your web-page, meaning that in order to capture their attention, you need an enticing headline. But why do searchers scan? As internet awareness and expertise grows, searchers are becoming increasingly more knowledgeable and concise with their search queries. They’re looking for a specific answer to a specific question. Therefore, in order to draw in the right audience, your blog title and meta description on Search Engine Results Pages, needs to show what your blog is about! For example, need an entry-level how-to guide on building a computer? ‘Simple PC guide for beginners’. Questioning headlines: How do you draft your blogs? Headlines that pique curiosity: Have you heard about …? Audience referencing headlines: Hey you! This is unbelievable! Check this out! Now you’ve started to build momentum, you need to maintain it. The next task is to ensure that the visitors to your blog stay there - or at least stay a while and read. Hopefully you’ve captured their attention with your headline, but you need to make them invest in your article and take the time to read it. You need to think from their perspective. You wouldn’t read a lengthy, boring introduction with no mention of what you’re looking for now would you? People like their information fast and accessible. Remember, your introduction serves as an insight into what your article is going to be about. Clearly state your aims and what your audience will receive. Subheadings serve the noble purpose of breaking up your blog post into digestible chunks, or takeaways for those looking for specific information. Use accurate signposts to convey where one aspect of the topic in question ends and another begins. Your main content should be the medicine that alleviates their symptoms. Firstly, you’ll want to inform your readers of your understanding of their problem in all its problematic detail, by doing this you develop a familiarity with your audience and demonstrate your expertise. Secondly, deliver the solutions and thoughts you promised from your headline and introductory passage, as that’s exactly what your audience has been waiting for. Go into detail and enlighten your audience – provide them with quality solutions and become a trusted source. CTA stands for call to action; its purpose is to encourage your visitors and readers to take an action and engage with your website. Your CTA might redirect them to another article, or to a landing page where they can download a particular content asset. For a blog, you may want to use in-line, embedded, or anchor text CTAs, such as a short line at the end of your main body section. To learn more about SEOing your blogs correctly, click here. You shouldn’t ever underestimate the importance of your conclusion. It’s both the summarisation and reiteration of each of the main topics within your content, you want to stress the importance of your assertions one last time here. In doing so, you embed the points you’ve raised in your audiences minds as a final thought. If you’re just starting out and trying to build domain authority or page authority, you rely on the impressions of your audience. If your readers have thoroughly enjoyed your blog or article, they may want to share it with others. In order to do that, you need to have buttons in place that enable your audience to amplify and promote your content across the internet. The more people that share your article, means the more potential visits you’ll generate. The more visits you generate means *potentially* a greater level of coverage on Google’s Search Engine Results Pages, or SERPS. However, there are a number of elements which contribute to your site’s ranking on Google. It’s no surprise that articles with images get 94% more total views it makes sense, right? Our eyes are naturally inclined to value colours and imagery over dull black and white text. Vibrant and robust displays will continually attract attention, even if we’re not engaged yet. It’s imperative that you include some kind of imagery that accurately represents your article in order to gain those elusive viewers. Having an image in your blog naturally breaks up the chunk of text, allowing readers a chance to digest the messaging. If your article looks like a block of text which isn’t uniform or consistent, you’ll lose readers on the basis your blog looks ugly, unprepared and unrefined. How your blog post appears on the page might seem like a trivial concern in comparison to writing the post itself. But, when you consider the fact aesthetic appeal accounts for a significant part of why people stop and observe things, it’s an absolute necessity if you want people to stay on your site. Having white space, clear headings and subheadings and a consistent font, formatting and structural style prevents you from overwhelming your audience with a block of text. If you’re not engaging with your audience, you’re missing out on potential followers. This is your last opportunity to interact with your audience and ask something of them. Ask questions – encourage them to engage! Blogging is an interactive experience, interact! Rejoice and enter the fray! 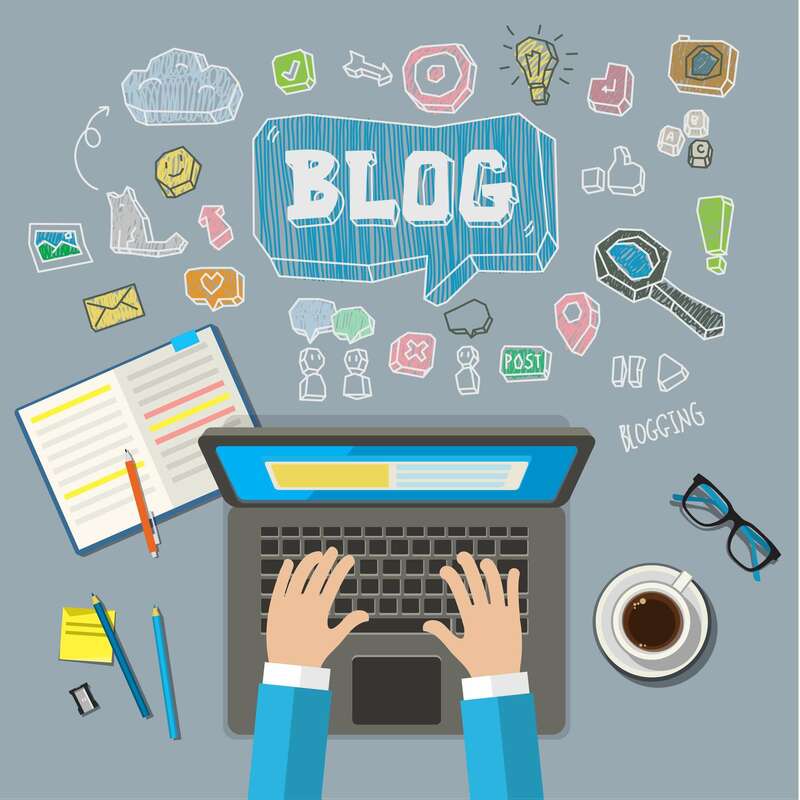 Now, with an understanding of each aspect required to construct the perfect blog, you should be able to wow your visitors and mesmerise your readers! If you think we’ve missed out anything – do let us know what you would add! In addition, are you looking for content support in your organisation? Get in touch and see how we can help create anything from blogs, to infographics and eBooks!